Wireless communication is transforming everyday life through ever more capable cellular networks and broadband wireless access. Future goals include data rates close to that of wired communications, real-time applications and hours of untethered service. The paper entitled “Great Expectations: The Value of Spatial Diversity in Wireless Networks”, which was published in February 2004 in Proceedings of the IEEE by Suhas N. Diggavi, Naofal Al-Dhahir, Anastasios Stamoulis and Robert Calderbank, is an important reference to experts in the wireless field. The paper addresses the engineering challenges that exist in meeting these goals in the face of limits on spectrum, battery life and other resources. It captures the major advances made in the past decade and focuses on spatial diversity, a primary tool that can be leveraged at many levels, including the physical layer, and for multi-user networking protocols. In the physical layer, spatial diversity is captured through multiple transmit and receive antennas. After a decade of research and development, multiple antenna technologies are emerging in mainstream cellular and alternate broadband access standards. In wireless networks, multi-user spatial diversity has emerged as a powerful mechanism for enhancing the performance of data communication. The paper illustrates the benefits of spatial diversity across the networking layers, emphasizing the fundamental underlying principles. At an overall systems level, the impact of spatial diversity is expressed in terms of improvements to user experience in the application layer, to link reliability, spectral efficiency, and as a way to lower deployment and operating costs. This paper captures the value of spatial diversity to the cross-layer design of wireless networks, identifies the extent of current knowledge, and indicates future research directions. An associate professor of electrical engineering at the University of Texas at Dallas, Dr. Al-Dhahir’s research interests include OFDM wireless networks, signal processing for communications, and digital subscriber line technology. He was a principal member of the technical staff at the AT&T Shannon Laboratory from 1999 to 2003, where he worked on space-time coding and signal processing. He co-authored “Doppler Applications for LEO Satellite Systems,” has written over 55 journal articles, and holds 11 U.S. patents. 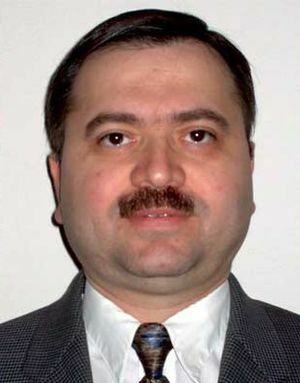 An IEEE Senior Member, Dr. Al-Dhahir is a member of the IEEE SP4COM and SPTM technical committees and an editor for IEEE Transactions on Communications. He is co-recipient of the 2005 IEEE Transactions on Signal Processing Best Young Author Paper Award.